Grades 1-5 (2019-20) | Home Education Partnership of Texas, Inc.
On Mondays, students will explore Spanish, Sing Song Latin, science, and math. Part of the day students will enjoy CREATIVITY (21 Tools, creative movement, music, sensory path, and other activities that will help focus, attention, concentration, and attitude) with Debby Jasinski. On Thursdays, students will explore language arts, history, music, Sing Song Latin, and art. Under the direction of a great team of teachers using a Montessori-style approach to learning, students will explore new ideas, experience hands-on learning, and learn to work with others. Students should bring a sack lunch, but no foods to heat up. Under the direction of a great team of teachers using a Montessori-style approach to learning, students will explore new ideas, experience hands on learning, and learn to work with others. Students should bring a sack lunch, but no foods to heat up. Grades 3-5 cover Spanish, Math Enrichment*, Creativity, and Computer Science on Mondays. 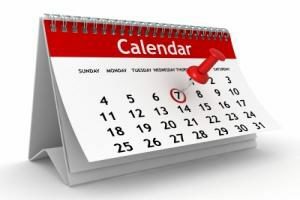 Grades 3-5 cover Science, Language Arts, History, and Art on Thursday. *Math Enrichment covers reinforcement of basic skills at the child’s specific level of ability, as well as math games, mind math, and overall math stimulation. One of our chief purposes is to instill a love for math. 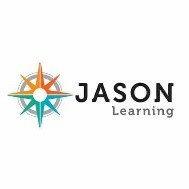 New for 2019: Our Science classes will use the award winning Jason Science Program! During the fall semester students will explore “Return to the Titanic” which consists of hands-on activities covering scale drawings, buoyancy, model-building, weathering, photo mosaics, remotely operated vehicles, latitude and longitude, coordinate grids, communication technology, radio waves, conservation, and careers. This unit will culminate with a play about the Titanic. The spring semester focuses on “Ocean Explorations.” Hands on activities include the history of ocean exploration, density, salinity, ocean exploration tools, marine archeology, marine geology (the study of volcanoes, plate tectonics, hydrothermal vents, etc.) and marine biology (includes the study of marine animals). Students will be taught the importance of recording their observations and conclusions from each activity using the scientific method. A science notebook will be provided for this. Homework will include watching videos and reading certain material and then recording what they have learned in a separate notebook. This will be an exciting year as we learn about one of our greatest resources: the ocean. Botley the Robot (Computer Science): Grades 4 and 5 will enjoy “computer programming” with Botley, the Robot. New in 2018-19, this activity has been a BIG HIT with the students. They will continue learning more with Botley by adding Challenges! 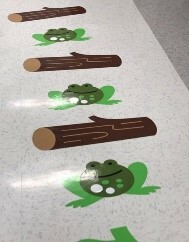 Sensory Path: All children benefit from movement…so we are adding a “sensory path” and “exercise/movement” room for 2019-20. Students will enjoy exploring the new Sensory room at HEP! 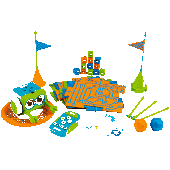 With a fun sensory path to explore and “to help get rid of the wiggles,” students will enjoy games, dance, exercise, the 21 Tools, and other fun games and movement activities. Studies have shown that recess and movement help with focus, attention, attitude, and enjoyment. Teachers: Yvette Schultheis (TPRS Spanish), Sue Rothberg (Math/Science), Debby Jasinski (Creativity/Art), Melissa Juren (Computer Science), Amy Titus (Language Arts), and Tiffany Henry (History). 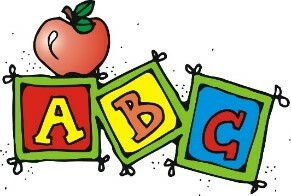 At Home: For grades 1-5, parents must cover the areas of Phonics/Reading, handwriting, grammar, spelling, and math at home. For those students who come only on Mondays, parents will need to cover science, language arts, and history at home.